Do you ever wonder why some teams win and some lose? Why some spas succeed and others close? What is the difference between winning and losing? • Focus and delivering the vision, ………. Who is on your team? Are they winning or not meeting expectations? In the book, Good to Great, Jim Collins said it best. I would like to share snippets on the award build-up and the aftermath, typical quicksand situations to avoid and what to embrace. Your client is your judge every day and you have a responsibility firstly to your clients to be ready, offer excellent service and facilities at international standards. If your door is open and you are charging clients full rate, you should be ready for a judge or auditor at any point. You cannot strive to make things perfect for a judge and disregard your clients who deserve the same treatment. It’s all about how you make your guests feel – the very first point of contact sets the tone and facilitates the feeling of being welcomed into the extraordinary. Long before arriving at the spa – the reservation process, being welcomed at the property gate, the hotel check-in and every encounter in between illustrates that management has all processes under control and that the team is completely professional. Absolute neatness, hygiene and cleanliness echo that management control and supports standards of high levels. Do yourself a favour and have several mystery guests visit you prior to the awards, be open to suggestions and positive criticism, different guests spot different shortfalls. Note them all and action them immediately. Guest areas as well as staff areas need to be spotless – your judge might just peep into your back of house areas too! Have your first aid kit checked by a nurse and ensure your first aid training is on par; I’ve had to present my kit several times – don’t be caught off guard with basics that are not in place. You did it – the award is yours; it’s time to make it known! Include the logo on your website, spa menus, host an event with clients, thank them for their loyal support as without them – you wouldn’t have much of a platform after all. Share the success to your advantage. Too often I see the manager/owner receive the certificate, it is placed on the wall and possibly a Facebook insert, but the value of the award is not maximized or shared. The limelight is yours for the next 365 days – own it! If you take care of your employees, they will take care of your clients! It is evident that your clients have been taken care of during the judging process. I always say you can smell a happy team from a mile away – it’s simply in the air. Ensure that they too are thanked and celebrated, too often life simply continues and your team is not recognized. The directly involved therapists might be in line for a performance-based incentive – I know in my days as a therapist, it went a long way and secured a motivated therapist! 6. The Bar Has Now Been Raised Even Higher! Often times guests use awards to their advantage – they are out on the hunt for slip-ups and rightfully so! As mentioned in the beginning, every day should be judging day and every day should be spotless, from your floors to service. Expect guests to lean slightly heavier on your shoulders and use this as a motivational tool for your team – it’s game on – show them your stamina and that you value each guest as a judge, auditor and owner of his/her spa investment. When you enter an award process, it is a component of your marketing / PR campaign, and needs to be kept up to date as per marketing to ensure validity. Spas tend to think if you have won the award, you never need to enter again – it is not a life time achievement, as many things from staff to management, treatment menus, product suppliers, etc can change and if a spa is to send the message to a client that they are consistent in the excellence, the award needs to be current or after 5 years you cannot continue using it as an accolade. There is no such thing as 100%, whether you came out top or slightly below – speak to the judging board and request feedback on your lower scores. Embrace this opportunity – you’ve invested time and money and might as well walk away enriched. With a number of judges handling both your portfolio & visiting your spa, you will have opinions from all walks of life. 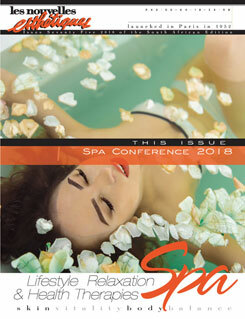 Gather the info and sift through it, discuss the KPA’s with the spa owner and team. Learning as you grow will ensure future successes. Coming back 2 years later, attempting to reclaim your position, as winner might be tougher than winning it in the first place. You now need to surprise & delight and ensure an out-of-the-box experience, topping your previous performance. Stay true to your core values but do intensive research, build on your previous performance and showcase your latest developments. Expansion of your property & offering, new menu items and campaigns and a creative approach to winning them over a second time is vital! A good idea might be to get in contact with multiple award winners to brainstorm and learn from those in the know. As a relatively seasoned spa award participant and judge, I was bowled over one year as I heard a fellow judge ask one of the participating spa’s “What is your spa’s theme?” It might sound like a really basic question but I realized that majority of the spa’s around me were quite vague in terms of their theme or a few transitioned due to trends and change of management. Your blueprint is your x-factor and needs to be well cemented before any cement enters the site. Find your x-factor, define and re-define it and stick to it. We’ve seen spa’s transition from African themes to Roman, Green to Gold…don’t be a chameleon, stick to your knitting, own your space and make it award-winning! About Corli Schoeman, the owner operator of Niche Spa Consulting, currently based in the Garden Route South Africa. Corli has been groomed in the spa industry for the past 14 years, as therapist and having managed award winning spa’s such as Tswalu Kalahari Reserve & Pezula Resort Hotel & Spa.She skillfully applies her gained experience and currently mentors & consults to some of the country’s leading spa’s. Corli is focused on driving individual spa revenue, establishing unsurpassed spa standards, educating spa teams & delivering exceptional profits. Corli sits on the board of the South African Spa Association and heads the distribution & education for Esse Probiotic Skincare in the Garden Route. Les Nouvelles Esthetiques Spa Awards 2018 – Are you ready to Enter? 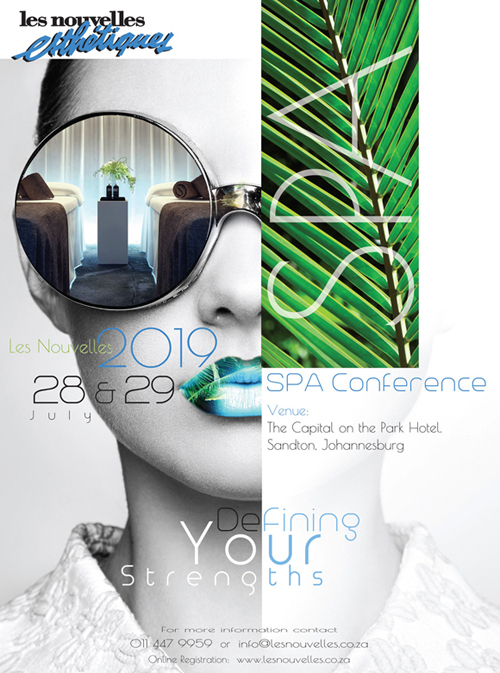 Les Nouvelles Esthetiques, South Africa would like you invite all spas to participate in the 14th Annual South African Spa Awards, presented in association with Les Nouvelles Esthetiques & Spa, Paris.